At the end of the 13th Round of Oil &Gas Onshore licenses, Frack Free Somerset were the only UK community coalition to have 100% successfully locked the gate on their area. PEDL license 227, the last remaining 13th Round PEDL in Somerset, was ultimately dropped because of, amongst other things, a lack of ‘social licence’. Organised community resistance gets the goods – period. 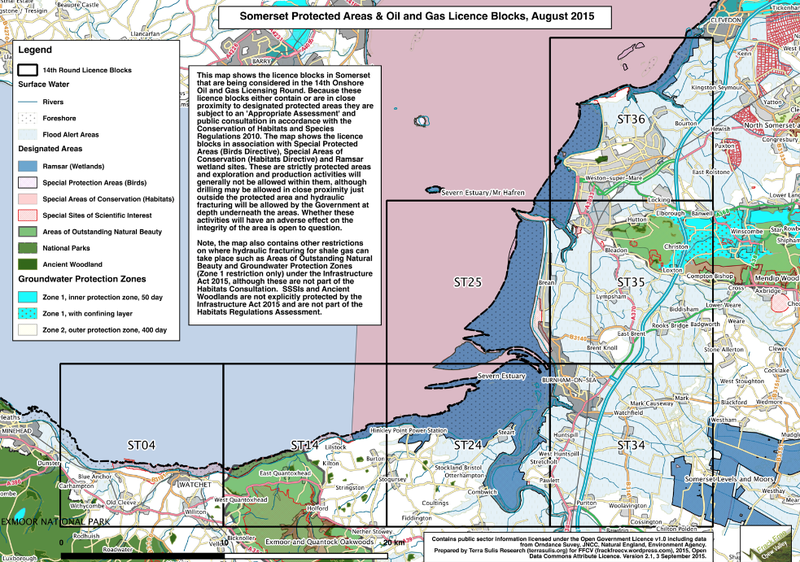 However, with the 14th Oil & Gas Onshore Licensing Round upon us, new areas of Somerset are now under threat. The northern Somerset coastline has been declared a possible location for future PEDL’s, giving rise to worries of UCG activity on our doorstep. In Somerset’s eastern quarter, a block of possible sell offs reaches out from Wiltshire right up to Frome’s doorstep. 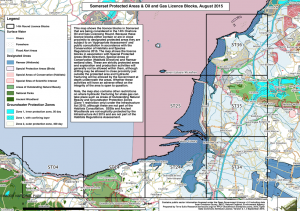 Frack Free Somerset are preparing an accessible information resource about these developments. So watch this space, we will be posting shortly. One thing we can promise, is that Frack Free Somerset is very much alive, kicking and busily organising in response to the 14th Round. The Frackers will not succeed. This is Somerset, and we are ready. Please note we are continuously developing Somerset-focused resources and collating our research efforts. All new information will be uploaded promptly to the resources section and news. If you have any data or resources you think may be useful please email them to info@frackfreesomerset.org.